Conversational interfaces are everywhere these days. Chatbots are said to be conversational. Virtual assistants are conversational. And now, interactive voice response systems, or IVRs, should also be conversational. But what does it mean? I have previously written a couple of posts regarding so-called conversational chatbots, and how misused the term “conversational” often is. I have also discussed how hard it is to build truly conversational interactions. Now, what does it mean in the context of an IVR? In this post, I will first revisit what I consider essential criteria for a conversational interface, regardless of the channel or application. Next, I will describe the specificities of an IVR that should be taken into account, and how they differ from other interfaces. Finally, I will explore what it means to design conversational interactions in the context of an IVR. Handle change and cancel requests. This list is not exhaustive, but it provides a basis to determine whether a given interface or application is conversational or not. For instance, a DTMF IVR is not a conversational interface, nor is a speech enabled directed dialogue phone application. Other examples of user interfaces that are not conversational are one shot question-answer sequences such as “OK Google, what’s the weather forecast for today?”, or chatbots that only handle clicking or tapping as input mode. This strict definition of a conversational interface can also be applied in the context of an IVR, or interactive voice response system. An IVR is just that annoying phone system with the menus, right? Sure, but it can be so much more than that. Although IVRs can be used to perform self-service transactions, they are more frequently used to triage callers and route them to the right agent. So, basically, an IVR deals with callers who, for most of them, have a specific reason for calling and want to speak to an agent. A good conversational strategy should help making the journey between the caller and the agent an efficient, low effort and easy transition. To be clear: the purpose of an IVR is not to help you find a restaurant in your area, get the weather or play a game. The IVR connects the customer to the contact center or allows the user to make transactions in self-service mode, with fallback to a human agent if they need assistance. These are very different use cases, with specific functional and technical requirements. 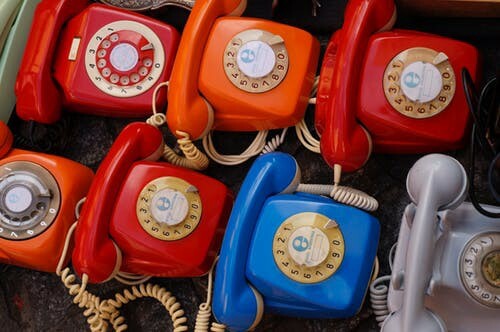 To create fully conversational IVR interactions that go beyond call steering applications, several criteria must be met, from a dialogue engine standpoint (which were partly listed at the top of this post), but also from a voice user interface perspective. Provide a decent DTMF fallback, because some people cannot or will not speak with the machine. This is not an exhaustive list, but it sheds light on the challenges involved in finding a platform that provides both an advanced dialogue engine and IVR adapted functionalities. Finding the ideal solution has proven to be challenging, although several possibilities exist. Our team will explore various challenges in more detail in upcoming posts.